Paulding County is a great place to work, live and raise a family. My goal at MY 102.7 is to highlight all the positive things that make this part of Ohio our home. We will be playing The Beatles to Bon Jovi. I wanted to play ‘classic rock’ but my kids informed me that the music I listened to while in high school now qualifies for oldies status, so I guess we’re an oldies station. As a farmer I have listened to a lot of radio in the tractor over the last 30 years. We have a variety of really good stations in our area. But a few years ago I started noticing that we receive radio signals that are not really tailored to us. I am excited about giving our local schools, county officials and local events a spotlight. 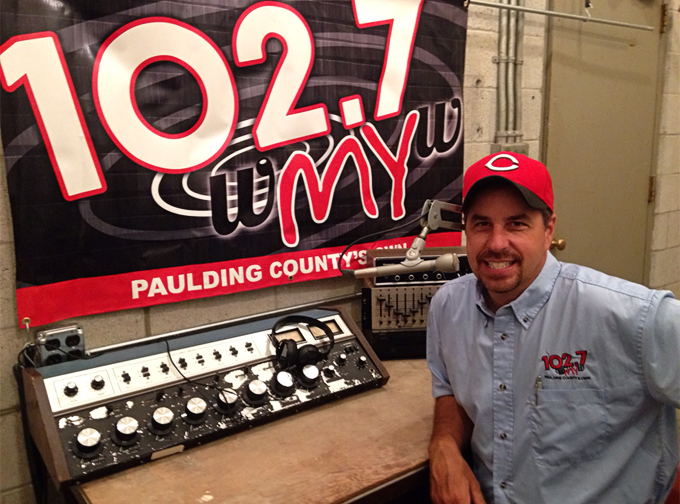 A radio station in Paulding County for Paulding County. My 102.7 broadcasts from a county landmark. During the Cold War, the government built several towers for wireless communication. This was part of what became known as the “Washington to Moscow Hotline.” Now privately owned, an antenna has been installed on the 310-foot red and white iron tower two miles west of US127 on CR 176. It is a really neat old building and what could be cooler?! Classic rock being broadcast from a giant iron tower built during the cold war that is able to withstand a nuclear blast – it is perfect!